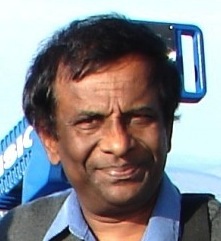 It was with great sadness that I heard of the passing away of comrade Indika Gunawardena this afternoon. He had been gravely ill, when we saw him last year. Comrade Indika and I had a broad consensus on many socio-economic and political issues. Of course, we also had our differences of opinion. It was our consensus that prevailed in working together for the purpose of building a fairer world. We will remember him for his contribution towards achieving human and democratic rights for the people in Sri Lanka. He came from a well-known progressive family in Sri Lanka. He was the eldest child of late comrade Philip Gunawardena, a pioneer of the Sri Lankan socialist movement, the founder of the Lanka Sama Samaja Party, and also known as ‘the Lion of Boralugoda’ due to the firebrand nature of his political activities. Indika’s mother late comrade Kusuma Gunawardena also embraced socialism, supported the struggle against imperialism, and actively engaged with the Sooriya Mal Movement in the 1930s. Both comrades Philip and Kusuma had to flee Sri Lanka to escape the wrath of the British colonial rulers. Later comrade Philip held ministerial positions in several post-1944 governments in Sri Lanka, and comrade Kusuma was also a powerful parliamentarian. In my youth, I had heard of Indika as a leader of the trade union movement of the Communist Party of Ceylon (CPC), which later became the Communist Party of Sri Lanka. When I played a leading role in the political activities of the Janatha Vimukthi Peramuna (JVP) in the late seventies, we thought of Indika as a young member of the Community party more to the left than other members of his party. In 1968, the CPC with the LSSP joined the SLFP to form the United Front. In 1970, it accepted ministerial positions in the government. While comrade Pieter Keuneman, a leader of the CPC became Minister of Housing and Construction, comrades Dr S. A. Wickremasinghe and Indika Gunawardena limited themselves to maintaining a line of critical support for the coalition. I believe it was in November 1977, just after our release from incarceration, comrade Indika met me at the JVP head office in Colombo. He had played an active role in the campaign for the release of political prisoners at the time. He later became an active member of the Human Rights Organisation we established and supported many of our political activities. He expressed his desire to become a member of the JVP, however, comrade Rohana Wijeweera was not keen to accept him, mainly due to political infiltrations that had been taking place during that time. However, comrade Indika continued to support the public activities of the JVP. He was actively involved in carrying out JVP political activities in Colombo suburbs, supported Songs of Liberation performances, and even took part in the JVP election campaigns. While leading the Songs of Liberation group, I had the occasion to work with him and in fact, we were organising our first tour to perform in the German Democratic Republic, but unfortunately we could not progress this matter further, as the then government proscribed our pubic performances. In 1978, I took the initiative to transliterate “Internationale”, the song Eugène Pottier wrote just weeks after the crushing of the Paris Commune, in June 1871 and which had become the most recognizable and popular song of the socialist movement since the late 19th century (https://soundcloud.com/lionel-bopage-1/jathyanthara-geethaya-the-internationale). I had to rely on the original French song and its German version when writing Sinhala lyrics of the song. Comrade Indika received his university education in the German Democratic Republic. It was Indika, who helped me in the German to Sinhala transliteration due to his excellent fluency in the language. I have fond memories of staying at his Kirulapona house in Colombo whilst he and I transliterated this classic song. With regard to the national question, particularly the issues affecting the Tamil people of Sri Lanka both of us were politically on the same wave length. I was detained receiving ‘Guantanamo treatment’ under the Prevention of Terrorism Act in 1985 for ten months. Comrade Indika was also held under house arrest for several months, and then held in prison for the rest of the period under the same draconian legalisation. 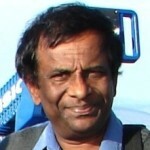 The so-called ‘patriots’ of Sri Lanka even attempted to physically harm him while in prison. Despite this enmity, his views on the national question remained unwaveringly consistent throughout his life. 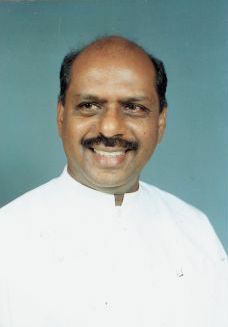 In the mid-1990s, comrade Indika was elected a Member of Parliament and joined hands with the Peoples Alliance coalition government led by Mrs Chandrika Bandaranaike Kumaratunga. At different periods, he held cabinet responsibilities as Minister of Fisheries, Higher Education, Information Technology Development, and Housing and Construction. Once he tried to convince me to accept the responsibility of Chairperson of an important Corporation in Sri Lanka under the Housing and Construction Ministry, but being aware of the strong corrupt practices that have been prevailing, I had to politely decline his kind offer. With regard to his participation in the government, we had quite different political views, but we held no animosities towards each other. I want to solemnly express our deepest sympathies and condolences to his family in this time of bereavement, in particular, to Padmini, Diyath and Yasith, and also his comrades and friends. We will remember him for all that he has done for the betterment of the lives of the people in Sri Lanka, especially the poor. His contribution, experience and political integrity at such a crucial juncture in the history of Sri Lankan politics will be solely missed. Strange,though Indika and Dinesh were brothers their stand on the National Question were poles apart! JVP was anarchist and terrorist outfit that founded by PDN Wijeweera. JVP was the personal property of PND and their political juntas. Bopage was well known anarchist of JVP join 1968, who has no accountability of past his deeds and lost of life 150,00 youth in Ceylon at that time by JVP revolt. He hide some where during that time. Nowadays he is writing and living very comfortable life in Oversees. Do you talk on that passed away and lost of life Indika Gunawaradana Member Cabinet of CBK ;His father too was so-called ‘father of Marxist’ —Philip G.. crossed over and turn into politics to UNP 1965 to 1970 under the Dudley Senanayake govt. Needless say Gunawaradenres are lost their political integrity long time before, is similar as your political carrier. You have learn that Marxism is different from Anarchism and Terrorism of JVP and Indika G…. politics of Cotta Road ‘Communist’. These are guys including his father who preach Socialism/Communism to others, while they and their families live Capitalist lives. First grade Humgugs. For a fact Indika and Dinesh both made millions while they held the Ministry of Urban Development. Ask anyone who worked at the UDA.